Randolph County covers the cities of Moberly, Clifton Hill, Renick, Higbee, Cairo, Clark, Jacksonville and Huntsville, Missouri. With more than 25,000 people in Randolph County, the health department had quite the job when it came to informing its community about services, events and more. That’s where Caledon Virtual came in. 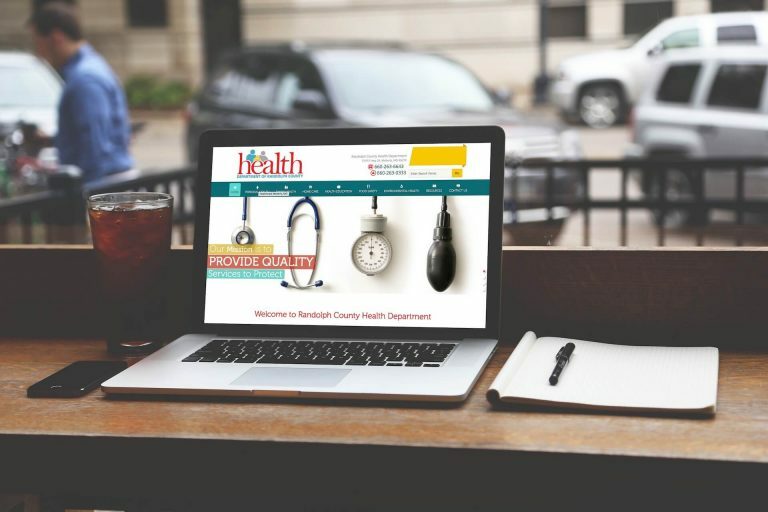 The Randolph County Health Department tasked us with creating a mobile-friendly, custom website that could serve as an information hub for the county. It needed to be easy to use, appeal to a wide demographic, and highlight ways to get in touch with the health department. Because health departments provide a variety of services and resources, it was imperative that the site foundation and navigation made sense for the demographic using it and correctly displayed the information in an organized way. We broke down the sitemap based on overarching categories such as personal health, family health, home care, food safety and more, with a list of subcategories underneath each one. Additionally, based on the client’s desires, we included many strategically placed calls-to-action throughout the site to encourage visitors to contact them in a variety of ways. With a brand new site that matched their branding, the Randolph County Health Department was able to efficiently and effectively direct more people to their information and resources, while making it easier for the community to get in touch with them.